Vacuum Regulators - Gilson Co. 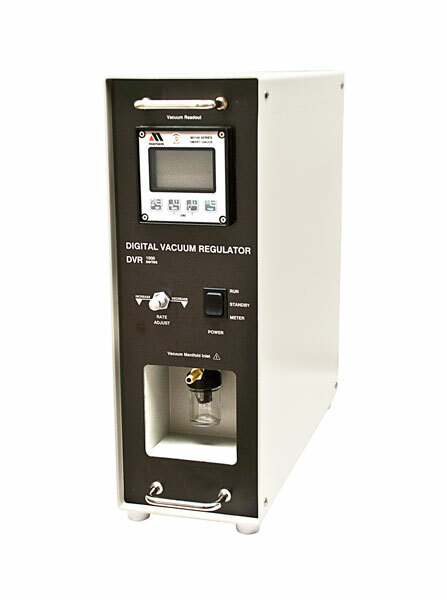 Solid state mercury-free digital Regulators are designed for precise measurement and control for a range of laboratory vacuum applications. 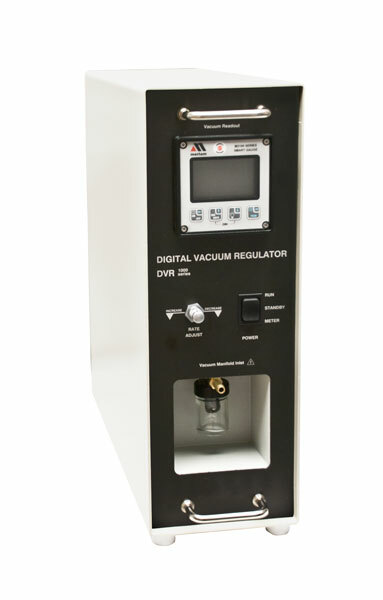 They are preset to control at 300mm below atmospheric pressure, ideal for viscous asphalt testing with Asphalt Institute, Cannon-Manning, and Modified Koppers vacuum viscometers. These adaptable Regulators can also be reset to control in the range from 1—410mm below atmospheric pressure. 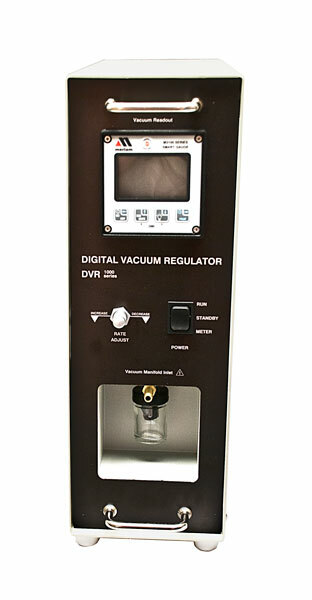 An LCD screen displays vacuum in mm Hg or nine other units for testing versatility. The vertical configuration is designed for convenient display and keypad access while taking up minimal space in your lab. Both Regulators are constructed of durable enameled steel with rubber feet to prevent sliding. PT-61 models are 100 Watts and used for regulation of an existing vacuum system. They are available in 115V/50-60Hz or 230V/50-60Hz. PT-62 series are 175 Watts and equipped with an internal vacuum pump with no external vacuum source required. These models operate at 115V/50-60Hz or 230V/50-60Hz.